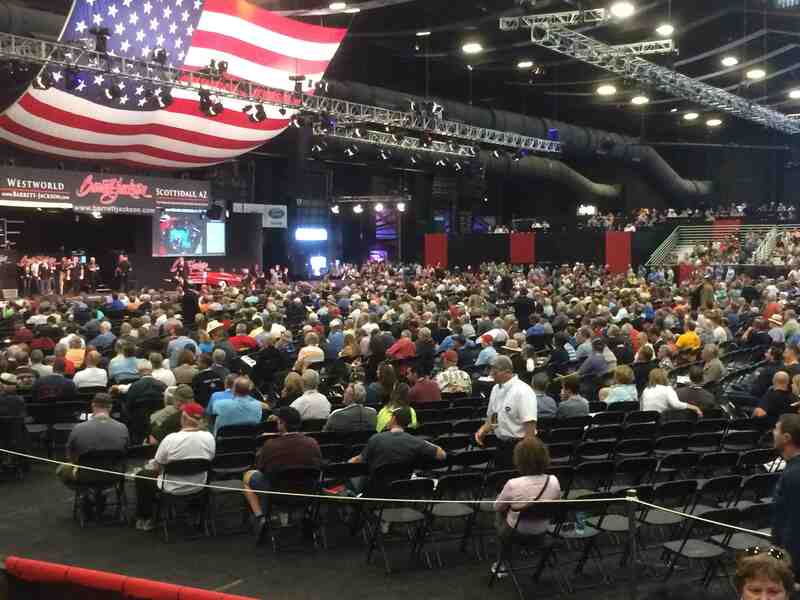 The Scottsdale Auction results are now piling in, and after all the dust has settled, it appears that all of the major auction houses were able to post solid numbers in 2015. The $292 million dollar total is the high-water mark in the week’s history, and reflects 18% bump from last year’s record total and a robust 82% overall sell-through rate. 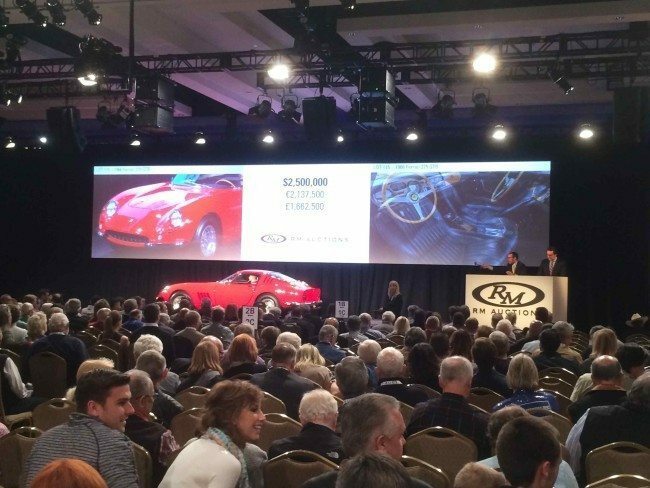 RM’s sale of the 1964 Ferrari 250 LM at $9.6 million has been claimed as the highest single car price in Scottsdale history, but in fact, Barrett-Jackson drove much of the overall increase, with more days, more cars, and the Ron Pratte Collection contributing to their $131.9 Million total. 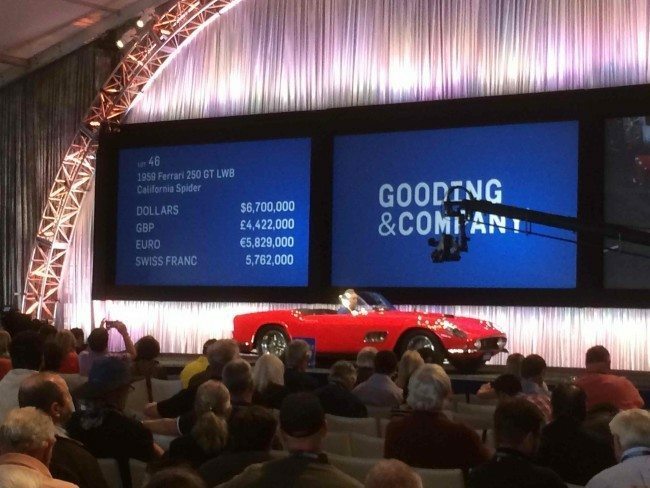 8 of the top 10 sales for the 2015 Scottsdale Auction Week were indeed Ferraris, with nary a big American Full Classic in sight. While the Auction firms will be comfortably heading to the bank once again, there are signs of a pause in the market in certain segments. Consignors certainly had some high expectations, with many cars bid to values that would have been happily accepted 12 months ago. 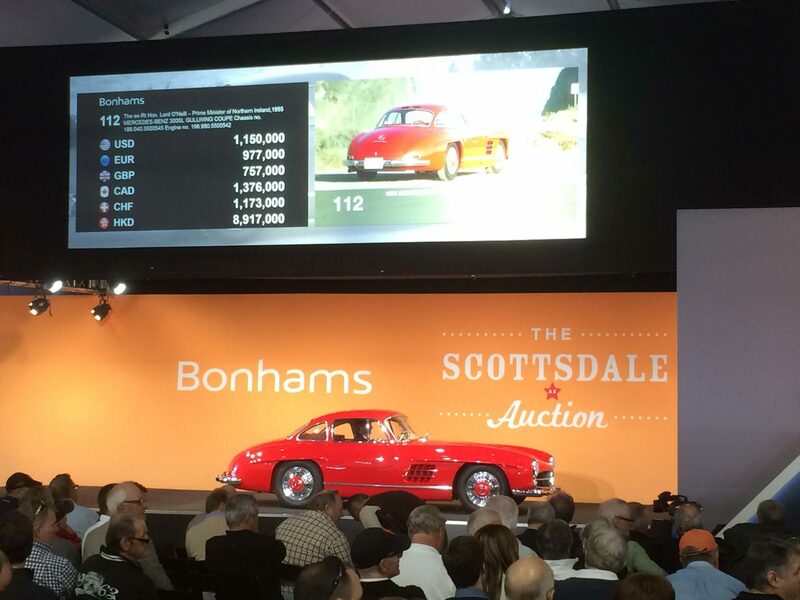 Heacock Classic was on the ground at all the auctions in Scottsdale, and we’ll be watching the market move in 2015 like everyone else. Our observation – it’s fair to say that any consignor with fair expectations in Scottsdale was able to sell their cars. 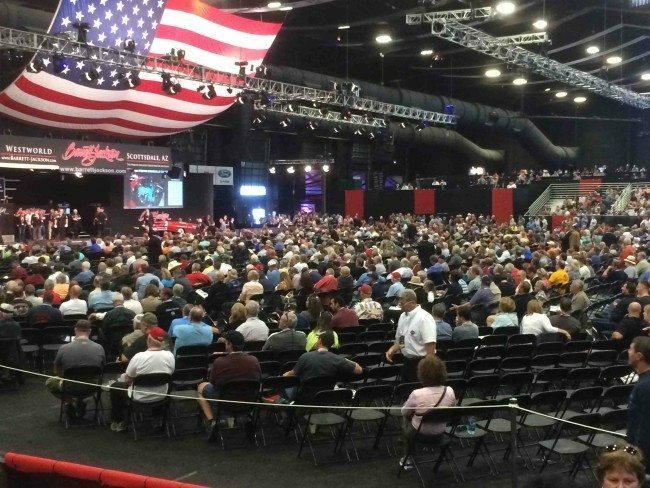 Barrett-Jackson lead the weekend with their $131.9 million total, claiming a 99.5% sell through rate and 1,381 lots hammered sold. RM claimed the second spot with a roughly $63 million total, and an 89% sell through. Every vehicle in RM’s top 10 list was a Ferrari, Lamborghini, or Porsche. Gooding and Company registered a $51 million dollar total on 91% sell-through, with the 1964 Shelby 289 Cobra being the only American car to crack their Top 10. Bonhams raised their total sales to $24.8 million in 2015 on the strength of the 1966 275 GTB Competizione Coupe at $9.4 million and an 87% sell through. Russo and Steele developed $17.2 million in sales with 414 of 661 lots finding new garages. We believe Mitch Silver’s total for the weekend will be around $3.5 million on 218 lots sold for a 67% sell through. Remember, these figures include the estimated buyer’s premiums, and may not reflect any last-minute post-block deals still being finalized. You can visit any of the auction websites for further details. Add ’em up, and that’s just over 2,500 cars changing garages in one week, so all indications look like 2015 may be a good year to sell antiques and classics, but it sure looks like a great year to sell a sports car.